This comprehensive survey of continuity and change in trade unions looks at five primarily English-speaking countries: the USA, Canada, Australia, New Zealand and the UK. 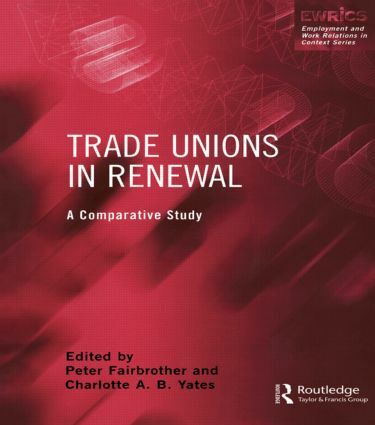 The authors consider the recent re-examination by trade union movements of the basis of union organization and activity in the face of a harsher economic and political climate. One of the impetuses for this re-examination has been the recent history of unions in the USA. American models of renewal have inspired Australia, New Zealand and the UK, while Canada has undergone a cautious examination of the US model with an attempt to develop a distinctive approach. This book aims to provide a thorough grounding for informed discussion and debate about the position and place of trade unions in modern economies. Unions in crisis, unions in renewal?